Sometimes a guest post comes along that draws you in and takes you by surprise. The post that I’m sharing below did that. I wasn’t really sure what to expect as I didn’t know what author Joel Hames was going to be writing about, but I absolutely love the story that he told. Read it, you won’t regret it. I think that this story could be a book in itself. 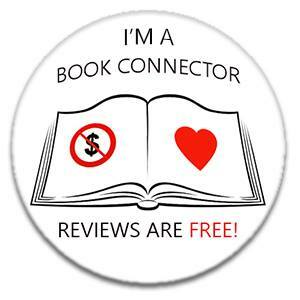 Hello @ifonlyread, thank you for hosting me, and hello everyone else, thank you for reading. What I’m about to share is a true story, and the inspiration for the main sub plot in my latest novel, Dead North. I’ve changed the name of the principal person involved, and altered the locations and the dates, slightly, so as to afford some privacy to those affected. But the heart of it is completely and utterly true. It was the back end of the millennium. 18 months to go until planes started falling from the sky and the world burned, or so they’d have had us believe. And I was in Patagonia, kicking myself, because if there was one place you’d want to be when the world did burn, it would, as Bruce Chatwin had recognised decades earlier, be Patagonia, and I was 18 months early. I’d been hiking through South America for six months, prior to starting a career as a lawyer. My wife-to-be had joined me in Argentina, and we’d bussed and hitched our way down through the country, eating steak and learning to tango in Buenos Aires, revelling at the beauty of the Argentine Lake District, watching whales and penguins and elephant seals in Puerto Madryn, until we hit the huge, majestic wilderness of Patagonia. We’d loaded up for a long hike. Dried food, tiny gas cooker, handy little tent, a lighter that could start a fire in the face of the most relentless Patagonian wind. Less than two hours into that hike, with the wind biting at our faces through alpaca-fleece hats, a van pulled up on the track beside us and asked whether we wanted a lift. “It’s OK,” we said, eyeing the driver suspiciously. Contrary to everything we’d been told, Argentina had been a wonderfully friendly and safe place for us, so far, but we were on a deserted stretch of road, probably tens of miles from the nearest human being, and it paid to be cautious. Over the next week our unexpected angel, Max, gave us everything he’d said he would and more. On horseback, we trebled the journey we’d been planning by foot, and although our knees might have been sore after eight hours in the saddle, our backs certainly thanked us, with the horses taking the load. We lit fires and feasted on milanesa, on steak and cartons of local red wine, on fish caught in remote icy rivers while we looked on and drank more of that wine. We saw more of Patagonia than we’d believed possible. We retired each night to our own tent while Max insisted on sleeping under the stars. Every morning we strolled down to the nearest river or mountain tarn and took a quick, refreshing dip. We laughed more than we’d laughed in years. And we enjoyed the company of Max, one of the kindest, most open, most charming men I had met in my life. When it was all over we disappeared, down to Tierra del Fuego, where we sat on trains with all the other tourists and admired the landscape and the old colonial vestiges, and missed Max, and on our way back up again we dropped in on him, pitched our tent in his field, and stayed with him for our last few days in Argentina, riding, chatting, drinking wine, drinking maté, the strange, bitter tea the Argentines consume by the gallon through metal straws, feasting, meeting Max’s friends and loving every minute of it. On our last night we sat in the field while he cooked up a giant asado, a barbecue of beef and lamb and sausages, and played with his German Shepherd, who’d accompanied us on our trek and had an unerring ability to find the nearest lake or river. The dog was also called Max – that was the dog’s real name, but I’m not going to change either of their names for this, because whenever I see the word, or hear it, or type it, I’m back there in that field, lying back on the grass laughing about something stupid with strangers-turned-friends as Max-the-owner scratched Max-the-dog behind his ear. We dropped Max an email when we’d been back a few days. Everyone used Hotmail back then. Even in Patagonia, there were internet cafes, but not in the remote hill-country Max called home. We didn’t expect a reply any time soon, and we didn’t get one. A few weeks went by. We dropped him another email. Still no reply. I dialled the number we had for him, and it rang and rang until it went silent. No voicemail or answerphone for Max. A final try, a couple of months after that. By now we were settling into our new lives, gainfully employed, enjoying the fruits of London and our monthly pay checks and although we missed Argentina and Max, we had other things to think about. No answer to the phone call. No reply to the email. We moved on. I didn’t spare Max much thought for another eighteen years. When I sat down to write Dead North, I found two of the characters needed a back story. Most characters do. But I was drawn, by these two, to Argentina, to the Lake District, itself a gentler, kinder version of the Patagonian wilderness below. And for everything to come together, I needed Max. I thought it was time to try to get in touch with him again. Four weeks after we’d left him, Max had gone missing. He’d not been seen since. The police had done what they could, but the area was so vast that searching it properly was impossible. His horses were all present and accounted for. His girlfriend – a stewardess for a local airline, they’d not been together long – had a good alibi, as did everyone else who knew him well enough to be considered a suspect. Not that there was anything to suspect anyone of, really. Max had no enemies, as far as I knew – and the eighteen-year-old police statements to the local newspapers I painstakingly translated from Spanish into English said much the same thing. There was no sign of forced entry to his home. Nothing was missing. There was something he’d mentioned, once, idly, that didn’t feature in any of the police statements, but he’d kept his distance, he said; it was nothing to do with him. The fact was, he lived in border country. The Andes he rode through split Argentina from Chile, and given the scale of the area and the difficulty of monitoring it, this was profitable territory for smugglers. People brought things over one way and brought other things back home. Max had been asked to help them, in the past. He’d declined. This was, I was certain, entirely irrelevant. And after all these years, there was little hope that Max could be alive. But there was nothing to stop me from reviving him. I hope this doesn’t seem strange or distasteful to you. In both the novel and this account, I’ve changed names and locations. In the short time I knew him, Max was a good friend to me. I can hear him even now, turning a slab of meat on the parilla and laughing at something my wife-to-be had said, turning to her, saying, as he said so often, “that’s another history, eh?”, and knocking back a cup of cheap local wine. His role in Dead North is small. But brief as it was, Max’s presence in my life looms surprisingly large. Dead North by Joel Hames is out now and is available from Amazon UK and Amazon US.